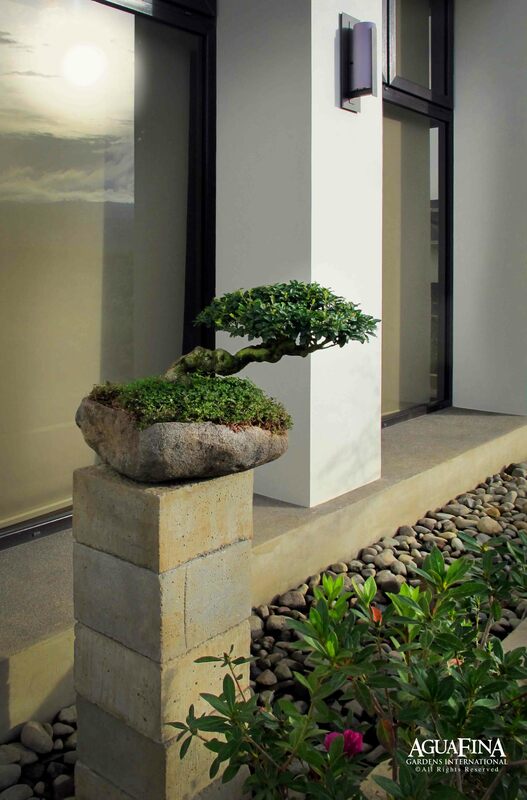 With breathtaking mountain views, our team was tasked to create a Japanese inspired garden that would harmonize with the natural landscape, not compete against it. 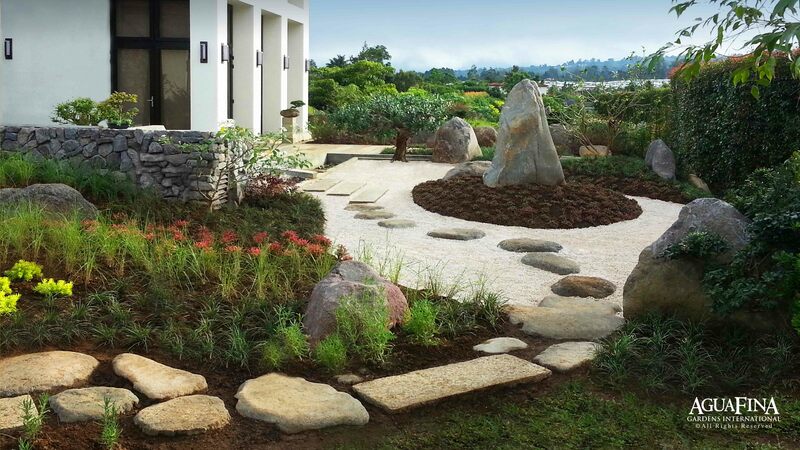 Central to this was to rely on cues from the surrounding landscape and bring those into the garden. Layered mass plantings of varying textures, colors and heights, are reflective of the changes in vegetation at different elevations. 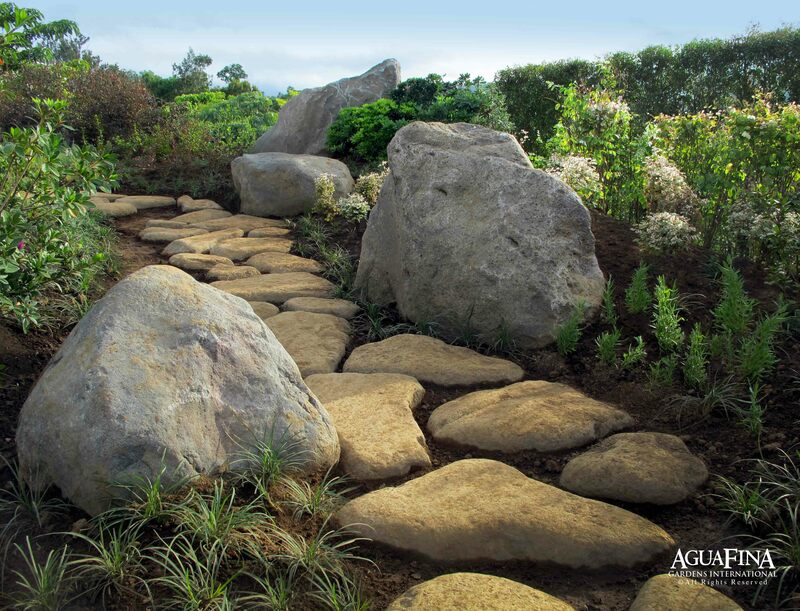 Large stones were set to nestle within the plantings to represent stone formations seen peeking out of growth in the surrounding mountains and valleys. 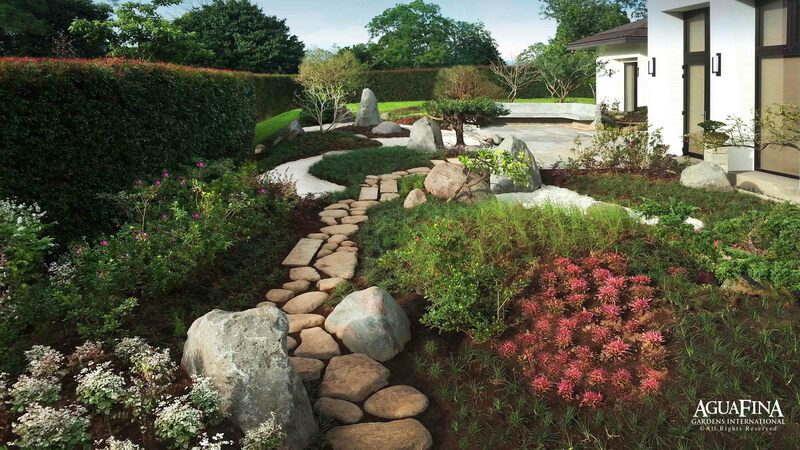 Reminiscent of a Japanese Strolling garden, the central stone pathway uses a combination of subtle traditional Japanese Gardening techniques. 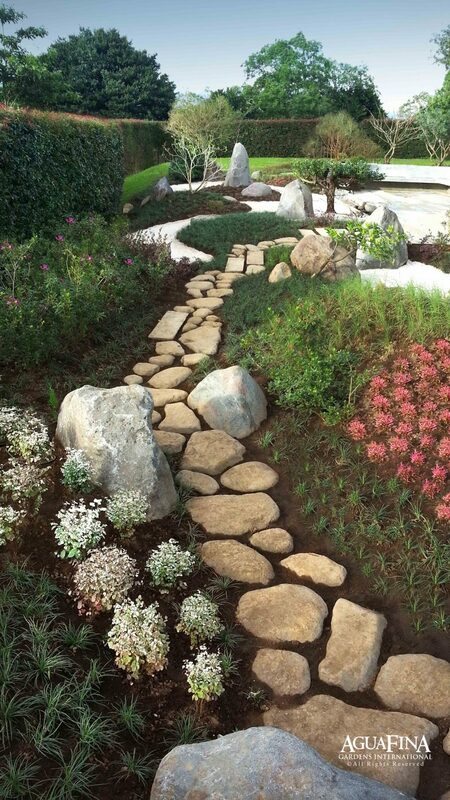 Walking along the pathway may at first seem strangely precarious in that one has to pay close attention or risk tripping, stones were intentionally placed for this effect. The act of walking therefore requires one to focus on the task at hand, clearing distracted thoughts and setting in motion a meditative process. 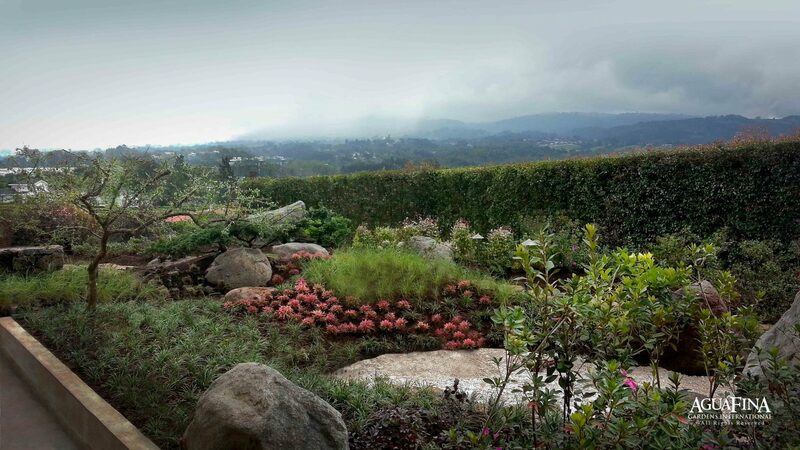 Another technique was to strategically place pauses or create changes of direction to reveal certain key surrounding views and/or elements within the garden. 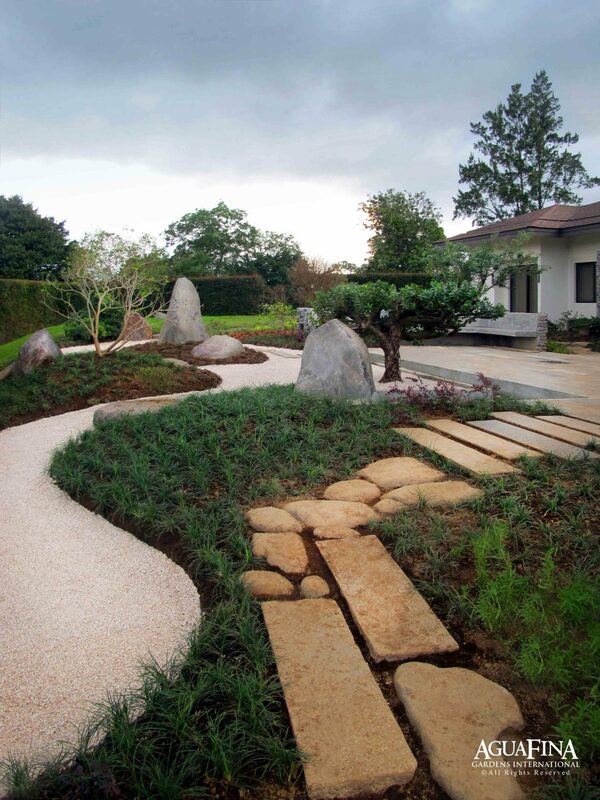 Two areas are dedicated to a Kare-san-sui, literally translated as dry garden and sometimes referred to as a Zen garden. These are overlooked from a courtyard space made from antique pavers reclaimed from development projects in Asia. The patina etched into these pavers is the result of centuries of use and their inclusion adds another level of authenticity to the garden.